Sandy Powell won the Costume Designers Guild Award in the Period Film category for "The Favourite"
TV winners include "Mrs. Maisel," "Westworld," "Assassination of Gianni Versace: American Crime Story"
It was a big night for costume designer Ruth E. Carter at the 21st CDGA (Costume Designers Guild Awards) celebrating excellence in film, television, and short-form costume design. During a gala CDGA ceremony on Tuesday evening (2/19) at the Beverly Hilton. Carter’s work on the Ryan Coogler-directed Black Panther topped the Excellence in Sci-Fi/Fantasy Film category. She also, as earlier announced, was the recipient of the Guild’s Career Achievement Award. The Black Panther win could be a harbinger of historic achievement to come. On Sunday, Carter’s efforts on Black Panther could make her the first African-American to win a Best Costume Design Oscar. 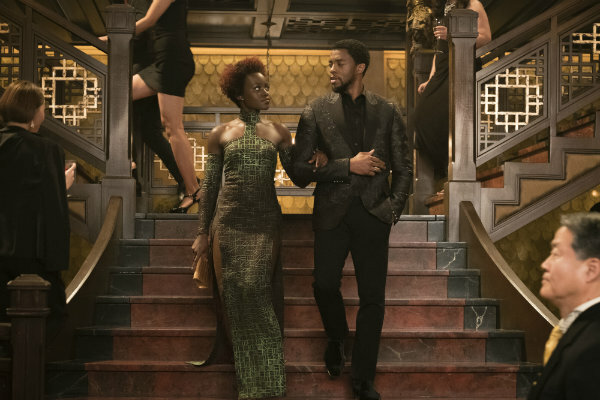 Black Panther marks her third career Academy Award nod, the prior ones coming for Spike Lee’s Malcolm X in 1993 and Steven Spielberg’s Amistad in 1998. The other big CDGA winners on the feature front were Mary E. Vogt in contemporary film for Crazy Rich Asians, and Sandy Powell in period film for The Favourite. Among the TV winners were Donna Zakowska for The Marvelous Mrs. Maisel, Sharen Davis for Westworld, and Lou Eyrich and Allison Leach for The Assassination of Gianni Versace: American Crime Story. In addition to the Career Achievement honor, other special Guild accolades included filmmaker/series creator/producer/director Ryan Murphy receiving the Distinguished Collaborator Award, and Glenn Close--a Best Actress Oscar nominee this year for The Wife--being presented the Spotlight Award, which goes to an actor whose talent and career personify an enduring commitment to excellence, including a special awareness of the role and importance of costume design. Costume designer Betty Pecha Madden received the Distinguished Service Award, which honors individuals whose specialties and talents contribute to the craft and art of costume design. Over the course of her 40-plus-year Costume Designers Guild Local 892 membership, Madden has costume designed over 200 commercials, 32 music videos, 16 films for TV, and 29 feature films. She currently serves as labor delegate to the International Alliance of Theater and Stage Employees. Nominees were announced for the 21st CDGA (Costume Designers Guild Awards) celebrating excellence in film, television, and short-form costume design.